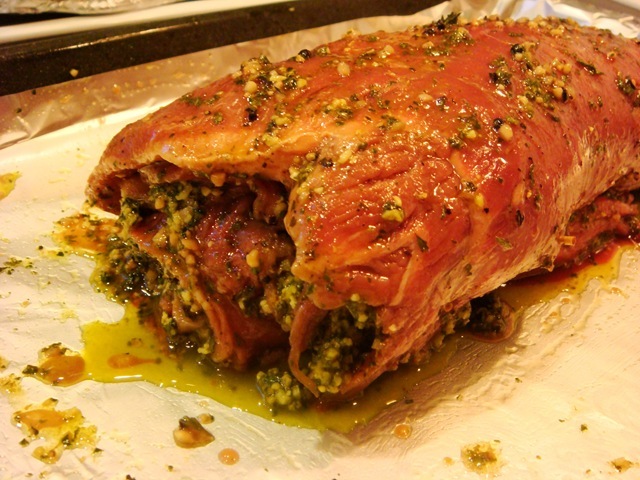 If you are not going with the traditional baked ham for Easter, this makes a great alternative. We had this for Brian’s birthday a couple of weeks ago, and it was a big hit! It is easy to prepare, and only uses two ingredients: a flank steak and prepared pesto. I used this Basil Pesto that has been hanging out in my freezer since the end of last summer. Still tastes great! You could use any prepared pesto; next time I would like to try a sun-dried tomato pesto in this. The only tricky part of this recipe is butterflying the flank steak, and even that is not too tough. A large knife really helps. To butterfly the steak, cut almost all the way through the thickness of the flank steak, keeping the steak intact on one side. To reduce mess, place your flank steak on a foil lined baking sheet and open it up flat. Spread with the pesto. Optional step: Sear steak in a hot skillet on all sides. I did not do this and it turned out fine. Roll up the flank steak and secure with kitchen string or toothpicks. 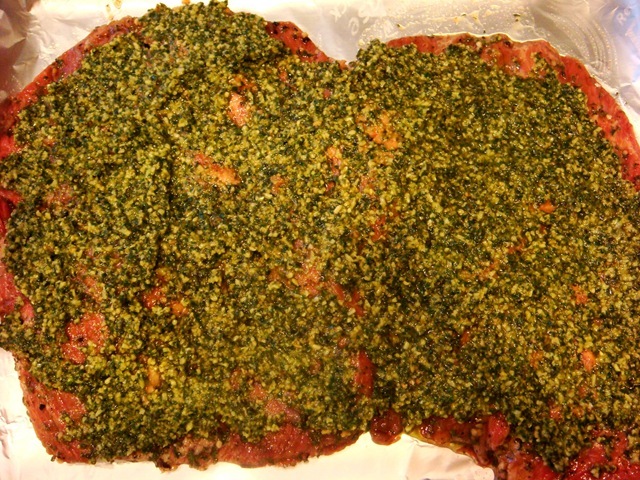 Spread top of steak with some of the pesto drippings (some are sure to have leaked out). 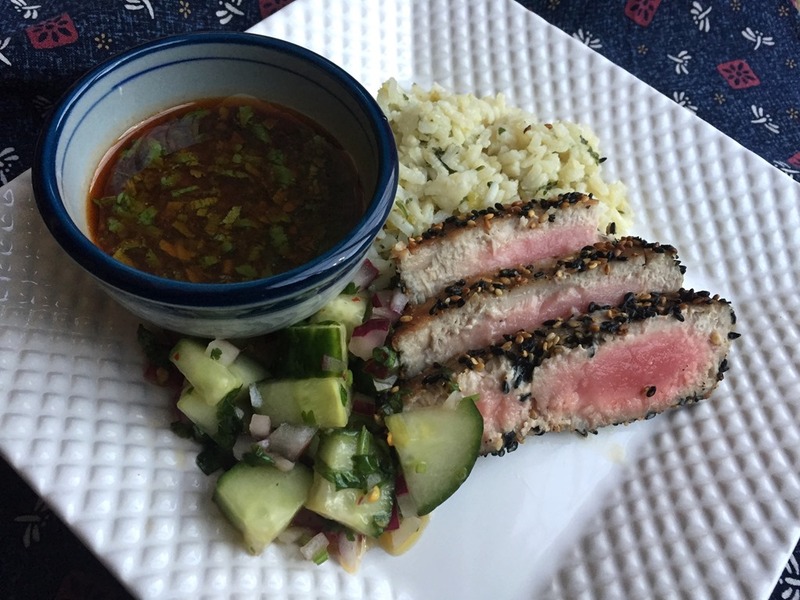 Sprinkle with salt and fresh ground pepper. Roast at 425°F for 30-40 minutes, or until thermometer reaches 130-140°F (for medium rare). If you sear the steak first, it will need slightly less time. I served this with some sautéed mushrooms and this Garlic Roasted Broccoli. Roasting vegetables with garlic is definitely our favorite way to eat veges around here. 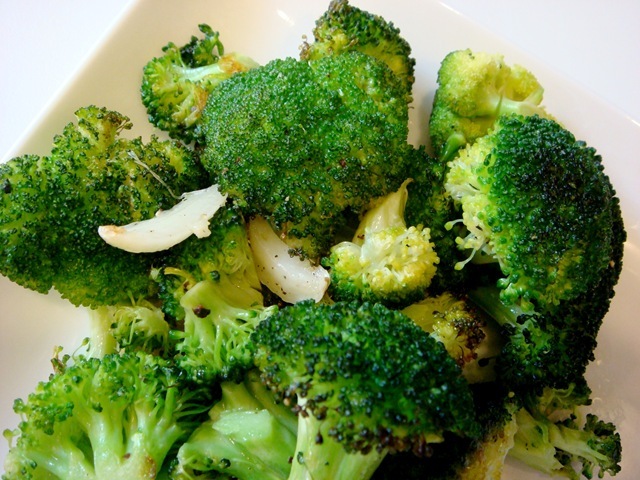 See the recipe below for some alternate roasted vege ideas. Butterfly flank steak: Cut almost all the way through the thickness of the flank steak, keeping the steak intact on one side. On a foil lined baking sheet, open up butterflied steak and lay flat. Spread with pesto. 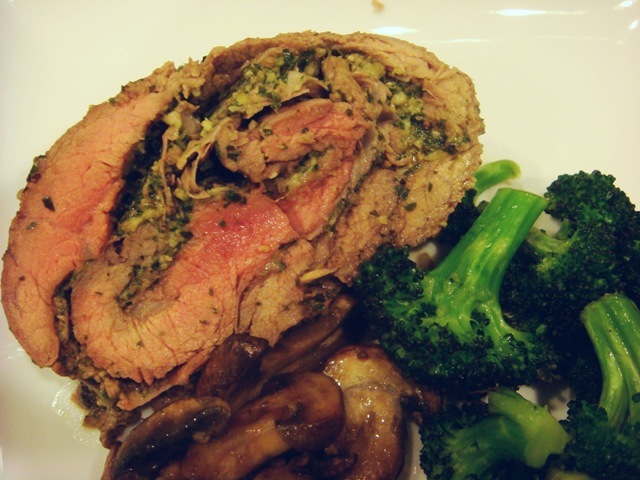 Roll up flank steak. Secure with kitchen string or toothpicks. Optional step: Sear steak in a hot skillet on all sides. Preheat oven to 425°F. Place mixture on a foil-lined baking sheet and season with fresh ground black pepper and salt. Roast until vegetables are slightly softened and edges are starting to brown slightly, about 10-15 minutes. Serve hot. 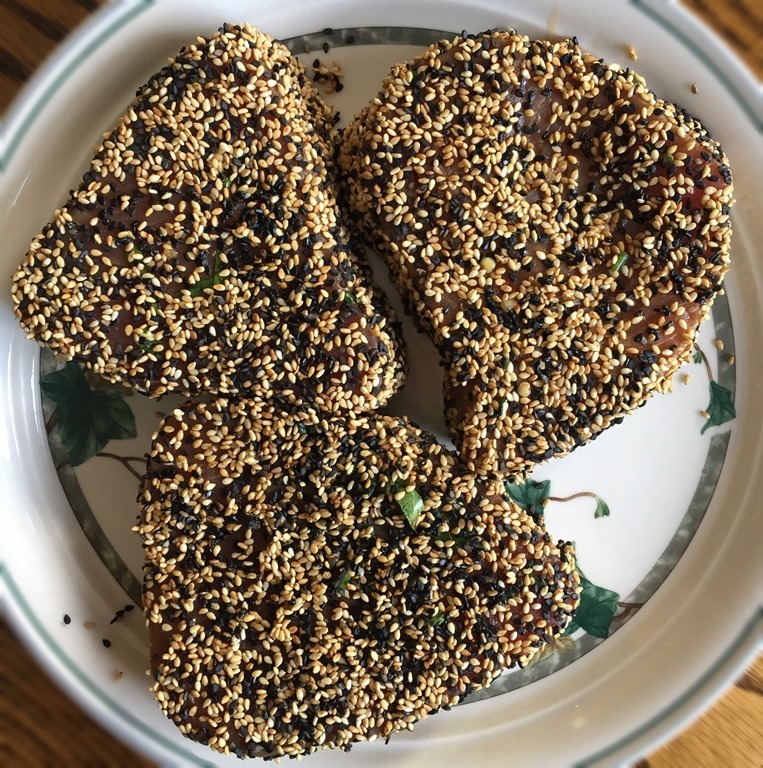 Follow recipe above, adding 1 Tbs soy sauce, 1 Tbs toasted sesame seeds, and 1 tsp sesame oil to marinade (use less garlic, if desired). Try this cooking method with: asparagus, brussel sprouts (cut in half), green beans, carrots, cauliflower. Adjust cooking time based on thickness of vegetable. 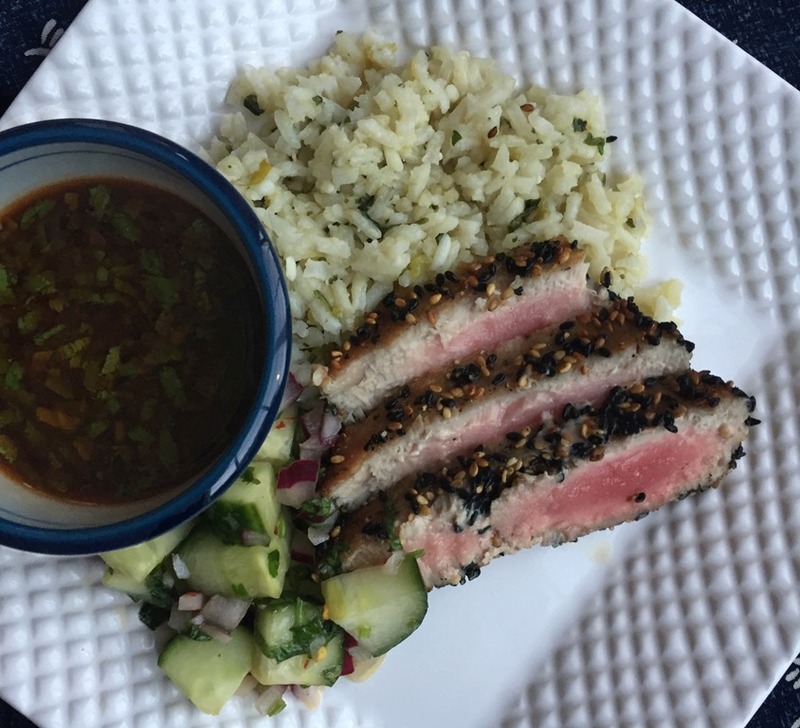 This post was entered into the “Grow Your Own” roundup, created by Andrea’s Recipes and hosted this month by House of Annie.